I started playing late January last year, idk was something like Patch 118 that had just come out, so I've played most of the game's "lifetime" so far. I instantly fell in love, played nothing else for 2 straight weeks. Idk how I did that, considering how terribly laggy the game was tbh way back then! I play on X1, and wow the terrain tool was a pain to fight with, my hands literally hurt from playing (partly the controls, partly arthritis, partly playing way too much lol). I got used to it, even the weird controller scheme, its long since become muscle memory. The thing that attracted me to the game was the trailer that was posted around that time, which looked so incredibly fun. Basically just co-op for the most part, people running around, bouncing around across planets, shaping terrain as they went (with none of this ugly grey stuff, that's one thing I still remain very bitter about as it's made the game extremely ugly and I still see no purpose it has served). Just light-hearted fun and exploration, no tedious sitting around bases watching power levels, or fetching research pods. Yeah i know I'm way oversimplifying and also being overcritical too, because your right the game does have to evolve, and I'm glad the old rng system is gone, but there are some things that changed that not sure were the best choices. I realize, this isn't my game. It's the Devs. Ultimately, it's their choices that rule the day. I'm not really entitled to anything, no player is but that's something I believe players may occasionally forget (not anyone writing here, but I've seen some "interesting" comments in the general forum lol). I have a license to play the game in its early stages because I paid for that, but I don't "own" the game and I don't have a "right" to have a say-so in how it's made or turns out as a finished product. As it says on the game's loading page we are invited here for a "discussion" that's really it. The Devs have chosen to provide players with a forum on which to express their opinions, feedback, and report issues and bugs, but no one ever promised players their input would make it into the game. So far I think the Devs have listened quite well, much more than you'll find on average in today's gaming world. It's certainly a more common thing for indies but even then not all are receptive, and triple A game studios forget about it they aren't listening at all for the most part. So I'm glad I can come here and leave my feedback, because I know someone reads it (and I'm very thankful someone did in fact adjust tethers so they are no longer uprooted when I pass the Inhibitor around them, yay! - that's a great example). In terms of lengthy research, a few comments. Yes indeed, a few pods take an incredibly long time. But that's not all bad. Remember, no one makes a player research those pods. And by now, anyone can look up the point value of any pod (not sure if the Wiki is updated yet though). I have seen a list in the forums here in fact. So that data is out there, but you can also see the points when you place a pod in the chamber and decide if you want to run or not. 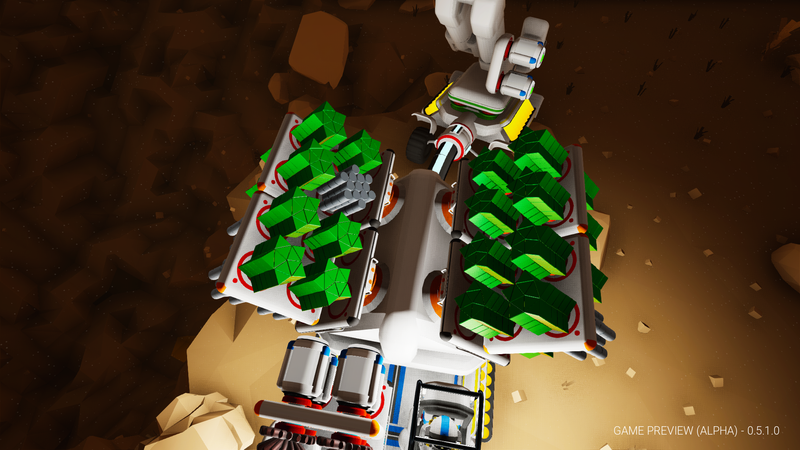 I think one of the best options is to craft at least 2 research chambers and if you have one of those pods with super long run-time, then place it in one chamber and use the other one (or several) to run more short-to-medium range point value pods. That way no one needs worry about having too much power draw all the time or being stuck etc. Honestly I'm not sure why it's so bad to have something running all the time unless it's a power drain issue. But there are a few ways around that, and most of the time at least for me it's really only at night I struggle so I just let them stop at night until I get adequate wind power or whatever. I haven't even made it off Terran in any new update games so can't speak to any of that stuff or about need to leave, I've never found a "need" to leave but I wish I had more desire to explore. I don't think moving higher point pods off world is the way to do it. In fact, I think that's a terrible idea, makes it feel forced actually and I don't think that's the way to go with Astroneer at all. Back to the point though about those really long research runs...I often spend long times in caves (on Terran of course) so I really don't mind having some long run in a research chamber on-going. In fact it's kinda nice now knowing something is actually being accomplished back at base in my absence since I play solo for the most part. Don't really know anyone to play on Xbox with, other than the club I'm part of but many of those players are a LOT younger than I am Don't want their parents freaking out or something lol (Parent walks in on kid playing co-op Astroneer...Parent: Who are you talking to? Kid: This lady I'm playing co-op Astro with. Parent: Lady?? As in how old a lady? Kid: She's um, I think like your age? But she's cool. Parent: You get off! Right now! ...mutters to self..omg my kid was playing online with some pedofreak). No thanks Never happened before, but I could see that happening, you know how parents worry these days (I did when my son was younger, didn't let him play online for longest time and then didn't let him use chat features for a good while after that). Last thoughts....if I caan do one good deed today, it's to convince one person who plays Astroneer of the immense value of oxygen filters. It saddens me greatly whenever I see or hear anyone mention they think they're useless. They aren't. I think they're extremely misunderstood because they never have been explained properly and really are misnamed if you think about it. A filter removes something harmful from the air. When I first started playing, I assumed they filtered out the poison from the Pumpkins. I know I'm not the only one who thought that too. They don't, died very quickly anyway But it just so happens that one time I equipped one, and guess I managed to avoid the poison enough to live long enough to see what a filter actually DOES. They REFILL your oxygen supply. ALL OF IT! Doesn't matter (afaik) if it's just your main tank (if that's all you have, which is still useful imho because it's just 1 compound to make a filter, how cheap is that!) or if you have 4+ extra oxygen tanks, one filter will fill it ALL. Now the more tanks you have the faster it runs out. Say you just have the main tank you always have and pop a filter. Well, it will last a fair bit even after topping off your tank (similar to having some oxygen nuggets in your pack). If it has to refill several extra tanks, well it's not going to stick around very long after it does the refill process. If it just refills 1-2 tanks, it might stick around same as (and I'm only guesstimating I've never clocked it) one oxygen nugget in your pack, maybe? Someone could probably test this out, I'm sure, if they were motivated to do so. If it's filling 4+ tanks, it's going to disappear rather shortly after finishing up. I always say I often travel on foot off tether and without vehicle, so filters are an absolute necessity and I'm glad I can unlock these babies right away (which I do!). They're absolutely required for my survival (just need compound, luckily can find that above and below ground on Terran fairly easily, and can print out from soil as well). I try to find as many tanks as I can, because even if I unlock the tank, finding Titanium on Terran is hit or miss (crashes, dead explorer packs). Used to get a fair bit from duplicate research but that's gone now, but I'm glad no more rng so it's all fine in the end. I hope someone will realize after this explanation though, that filters are FAR from useless. They can save your Astroneer in a tight spot, and they're quite economical too! Most of the time you'll have compound accessible so they're not difficult to craft. Why did the Devs stop having Twitch streams about Updates and such? When I first started playing, those were so nice! But there were only a few, and back then the team was very small. I like the VLOGS, but they're just not the same. Really wish there would be some longer streams as well. Never see Adam anymore, and he was always on the streams in the beginning. Oh, I keep forgetting to write about this! Will have to be short. With the Devs trying to make resources more true to their real world counterparts in terms of color, I wanted to mention one thing that has always bugged me immensely from the time I started playing Astroneer and that is the color of oxygen crystals. It's blue! Why? Blue is usually an aquatic color in games. Or maybe a team color (like red vs. blue). Anyway, as someone with health profession experience I just wanted to inform y'all that oxygen is supposed to be green. Just look up the international standards (I realize they are for medica oxygen, which is a gas, but what can I say oxygen is generally stored & administered as a gas). Doesn't actually exist as crystals on cave walls lol, but it really threw me seeing it "blue" for some reason. Just wanted to let the Devs know that. I've seen games display it as green as well, I guess someone let them know There's interesting history there, some tragic too, about how the standards were developed for labeling all sorts of gases not just medical ones. I think bright yellow like the power was (which I can barely see now on cave walls now, much prefer the glowing yellow come back please) is how chlorine gas is labeled, but I think it isn't as uniform as some others. It is highly corrosive. Medical oxygen gas is a dark green but I think a bright glowing green in place of the bright glowing blue would actually work fine in Astroneer if the Devs are really serious about making things more scientifically correct in appearance. I read about how before the strict labeling rules there were quite a few accidents in operating rooms where mixups occurred. Sometimes air, mixed air, even CO2 was accidentally used instead of oxygen and all sorts of bizarre combinations or situation reversed (for example, you don't want to use oxygen to insufflate an abdomen for laparoscopic surgery because oxygen is so highly flammable, and they need to be able to do cautery inside to control bleeeing so having oxygen used by accident is really, really bad!). To aid in safety there are strict labeling requirement including the color coding as I mentioned (which is green for oxygen) but there are other means too, such as the fittings on the cylinders and how those attach to walls and hoses. In a medical setting at least, they're all specific to the gas. All of these things are designed to minimize risk in the hope these mistakes won't be made anymore. We all know human error is impossible to eradicate but these things do a lot to reduce that risk. Now if an institution has outdated fixtures (which may happen in some countries with older equipment that doesn't meet current guidelines & requirements) or if stuff has been tampered with (like the actual cylinder or the hose and/or wall fittings etc) issues with the wrong gas being used can still occur, but overall it seems the situation has greatly improved. Sounds like it's more a problem of there being buildings/equipment not being up to code, I would guess more commonly found in poor countries where the lack of funds for newer equipment and facilities is more problematic. P.S. As to keeping previous versions of the game, and a possible reason as to why that wasn't chosen? I can think of a big reason: Xbox One. Maybe on PC y'all can do that, keep other versions of games, but idk how something like that would ever work for players on Xbox. I don't think it could, and that's my best guess as to why something like that wasn't ever considered. The Devs maybe never wanted to consider it anyway, but even if they had, I don't think there's anyway something like that could be supported on a console. If it were PC only? Hmm, yeah idk, maybe? Paying again for the game? Not happening ? no no absolutely no way. Back to the roots- for me the roots was definitively to be able to do things on impulse, on the way to other tasks. And I got a bit if feeling of being in the movie "mission to Mars" and that is what I hoped I could do. Survive and explore, setting up a camp, fibding out what happens around me without so frustrating challenges as tomb raider but still with the need to stay alert. And the possibility to easily find materials and put out tethers or tank up powers and roam round like on a motorcycle in a sand quarry. That feeling is a bit lost. I do miss the fuel condenser, it was awesome when the hydrazine got explosive. It is realistic and correct- you have not more material to build with than you collect. But still I miss the ability to smack up structures on the go. In the time you have to fill up 8 canisters you are not interested in building it after all. The game loses the ability to be impulsive. Thats a loss. Its enough digging to fill up the mineral extractor and dig holes...the nerd in me tells me thats right! But its boring! And at least it shold be supplied easy to carry tanks with 100 times the capacity, and auto-suckers that fill up that tank for you while you does other tasks. I dont remember how the vehicles handled but it was really fun to jump around with them. Some updates made them better some worse. It isnt fun when they roof after 2 seconds, but the ability to roof after 7 seconds of speed should be there. The research was most fun before they were changed. I think we should have a combination of the old and new research machines. 1 with the lottery, 1 with the bytcoin mining and even add a station where you analyze samples yourself with tools and chemicals. A disappointing change is that everything went so silent and we just have to wait without information. "Naaah not this month bro." And we dont see what takes so long when the few original people made the working alpha. Now the team is like 20? And every task take longer and longer. In need for speed 2 which was my first car game with "good graphics" the vehicles worked in a 3d terrain. After so many years its not like rediscovering the whole method of using game physics? Or does every pc game crew have to build every engine from scratch? My most fun game ever was Airfix Dogfighter. Too bad it got discontinued. Its many years ago now, and smaller crews got things rolling. In colony survival its 2 workers. And they respond more but of course they too need more time while the game grows. I might have agreed with this, if it weren't for one thing... we all bought into the Early Access model. So what you're referring to as "it's roots" was never going to end up being the finished product. What I'm getting from Nargg on this, is that the theme of the game or the mission statement has completely changed, it is starting to get to a point where it is barely recognizable from the original game. He can correct me if I'm wrong on this. I do agree with Nargg that the game is heading the wrong direction with some of these changes. But like you said, it's early access and we're just along for the ride. I feel ya on this one. I get invitations to parties occasionally and always feel rude because I don't accept. I have occasionally met some similarly aged gamers which is cool when it happens, but most of the time, I enter the party, it's a bunch of kids, I feel like I'm doing something "wrong" and leave. Some of the kids reactions when I talk is kinda funny though. Like, "WHAT! Adults play games?!" I always feel like saying, "Talk to me in 15 years and if you're not still playing, I'll eat crow..." lol This would likely be met with silence while they try to figure out what "eating crow" means. As for the example "situation" I cited, I was exaggerating of course. I've never had anything like that happen before. But I have played with some younger folk and told them I did want to make sure it would be ok and there wouldn't be any concerns from their parents etc. More so with younger adolescent teenage boys, as it provided a good opening convo to make things clear (mostly for them, but I could avoid an uneasy convo by shifting the subject off more to a parent etc) by saying "hey I'm older but married, have a kid of my own, I'm disabled can't work so I play a lot for my own mental health lol" but making it clear I'm not into any weird stuff I'm just like any other gamer same as friends you age etc so parents don't need to worry I'd even be happy to speak to them if need be) that way I've done all I can at least to prevent anybody from thinkiing I have some interest beyond being just another person online to play a game with, definitely not interested in any online entanglements no matter who they are etc. Never had anything like that really happen either, but I had one teenage guy ask me a lot of questions like wanting a female opinion about very intense issues (women's rights, stuff you just DON'T ask someone in a casual online atmosphere, similarly to forums there are topics off-limits like religion, politics, and those were the sorts of things he was asking my thoughts on, and I said to him I wasn't comfortable getting into those discussions with him and that was just too deep and serious when I just wanted to play games that's it). As one might expect, after that convo things were very awkward between us, plus his dad came in while he was talking to me and that was something that sorta sparked the idea for the scenario I listed above. Don't think the dad knew who he was talking to, but it was right after he'd been asking me all those personal questions so if the dad heard all of that stuff even just the one-sided bit, I wouldn't have blamed him for telling his son to get off and never speak to me again (even though it wasn't my fault, the dad couldn't know that). It can be tricky navigating the social online experience lol. Usually once people are older say high school certainly college age and beyond it's no longer an issue, other than sometimes you find trolls or other psycho people. I've met some toxic players before but mostly in clan settings where there are larger groups of people who get all power-hungry. It's so silly and yet potentially dangerous at the same time (if they actually do manage to get a following going, and weasel their way into some position of power, depends on how sneaky they are, many betray themselves by being such obvious sleazebags but some can be pretty slick). Sometimes I've run into a few odd scenarios. I've been told I sound like a guy (which I don't, but I will say playing with headset & mic, these can drastically change your voice so much so that in party chat my son & I agree we don't sound much like we do IRL, but a different gender? No not really lol!). Only once have I run into someone in a group chat that, upon learning my age, said something like "you're that old and you still game? Why?" That comment was immediately boo'd and challenged by everyone else in the party, people who all knew me fairly well and who also appreciated the fact I'm a long-time avid gamer, probably from a time well before that dude was born lol). So it actually felt good to be supported by friends, and that guy got roasted Most people respect my experience, even if I'm a bit slow or not the best at PvP. They seem willing to cut me some slack. In terms of the person who was saying they wouldn't buy the game again, in response to the person who said they would, if I'm understanding correctly the one who said they'd pay again only meant they'd do so as a way of demonstrating their support for the Devs, recognizing they will need the continued monetary support for funding the game and getting paid for their hard work etc. That's all. I don't think they were in any way implying everyone had to buy it again, I'm not aware of that being a requirement anyway. I could be wrong but I thought that, by supporting this game early, we already have a guaranteed purchase of the final release (but I've never bought an early release title, I could be mistaken). They did say, iirc not 100% sure without reading all over again, they wouldn't support most micro transactions in the game, that this was their line they wouldn't cross. I think most who have played Early Access likely feel the same. I wouldn't mind paying for a limited amount of cosmetics, but that's the ONLY type of micro transaction I think should be considered. Definitely no loot boxes, no pay to speed up things, no pay to win, no blind loot crates or rng systems with them either, those are too much like gambling. If you buy you should know exactly what you're getting. And anything you bought should be able to use in any game, any save, any version, it should never be made unavailable to you after purchase, and should never be offered for free or by another means. It should also never confer any advantage in terms of gameplay. Items which affect gameplay should be included in the game, or he part of DLC (which I hope will be free as part of the game's purchase price, or if that's not feasible then I hope the DLC will come in packages that's are reasonably priced and comes with regular updates and future support). That's all I have to say about this for now, because micro transactions is a very hot topic I don't think I need to enter into a highly detailed breakdown of the issues, pros and cons, etc regarding them. I play Warframe, and it has one of the better (not perfect but decent) micro transaction systems out there to date, especially considering it's a free-to-play game model. My son plays Overwatch, and no matter what their Devs say Overwatch does not have that great of a loot system. Not sure who they're kidding besides themselves. There are worse systems to be sure, but that doesn't exactly make them saints. I'm currently playing on patch 0.5.1.0 on XBox One. Looks like I have used up all my save game space, because it always dumps me back to an older save when I restart the game. I did not see the actual numbers in the patch notes, just that having a good power infrastructure will be important, but the wiki says that a Research Chamber consumes up to 2 units/second of power when operating. 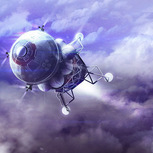 It also says that a Medium Battery stores up to 64 units of power and that a night cycle on Terran lasts 10 minutes. If all this is true, it would take 18.75 Medium Batteries worth of stored power to make it though the night on Terran without wind power generation. Is this accurate? I could definitely be wrong as it's only loose observation and not proper testing at this point as I always have at least a few wind turbines built, (Maybe I'll test it tonight...) but it seems like the consumption is slower or the storage is higher.